A Publication of Separation of Churches Under Christ Ministry. Click here to go to the lessons on Israel. “The reader of scripture should hold firmly in mind: (1) that from Genesis 12. to Matthew 12.45 the Scriptures have primarily in view Israel, the little rill, not the great Gentile river, though again and again the universality of the ultimate divine intent breaks into view; (2) that the human race, henceforth called Gentile in distinction from Israel, goes on under the covenants given to Adam and Noah; and that for the race (outside Israel) men are guided by conscience and human government continues. 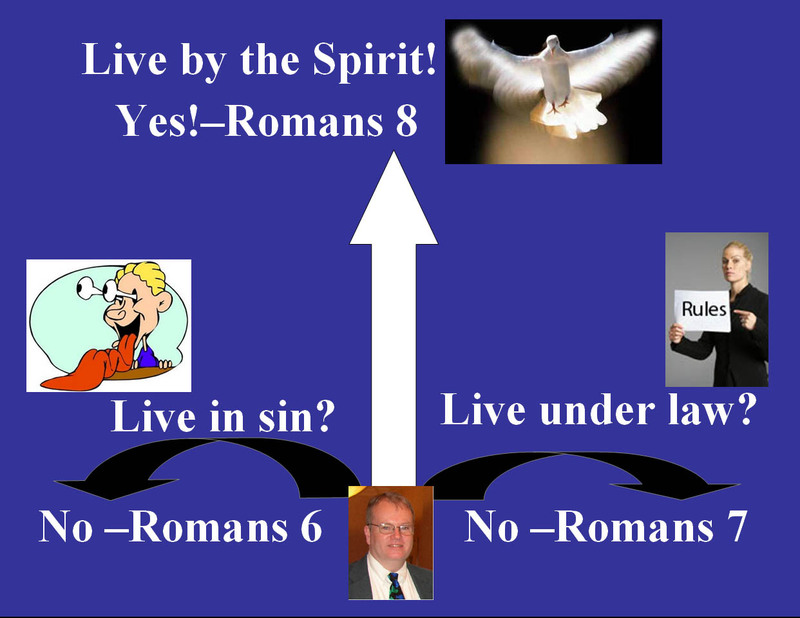 The moral history of the great Gentile world is told in Romans 1.21-32, and its moral accountability in Romans 2.1-16. Conscience never acquits: it either ‘accuses’ or ‘excuses.’ Where the law is known to the Gentiles it is to them, as to Israel, ‘a ministration of death,’ a ‘curse.’ A wholly new responsibility arises when either Jew or Gentile knows the Gospel. God declared that Israel would lend to other nations, but would not borrow, that Israel would reign over many nations, but that no nation would reign over Israel. Israel was called the wife of Jehovah. Israel is the “rod for his inheritance,” and God will use Israel to “break into pieces the nations.” Thus, Israel is the key to everything regarding the nations of this world. Again, Israel was ordained to be a theocracy under the direct rule of God, through His judges. This type civil government was unique to Israel. 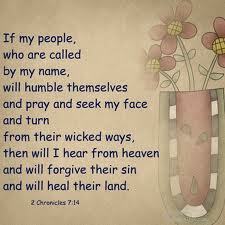 We see how this type of civil government was applied by Israel in the book of Judges. Over and over again, especially in Deuteronomy, the Jews were told to follow God’s law, to keep his commandments and statutes. “These are the statutes and judgments, which ye shall observe to do in the land, which the LORD God of thy fathers giveth thee to possess it, all the days that ye live upon the earth….” God’s laws covered everything, including idolatry. The Ten Commandments exemplified the law, and the whole of the Ten Commandments, including the first four, were to be enforced in the nation Israel. But they still demanded a king. They were looking at man, not God, when they made this demand: “And they said unto Samuel, Behold, thou art old, and thy sons walk not in thy ways[. ]” They still did not realize that God fulfills His purposes. 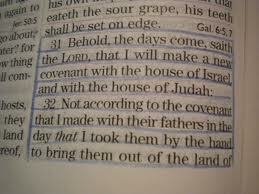 Had Israel walked in faith and kept His statutes and commandments, God had promised to bless them. When kings started to rule, kings dominated prophet and priest. Saul, the first king, disobeyed the command of God through Samuel and even sought to slay Samuel, the prophet of God. 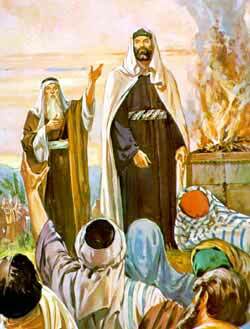 David followed Saul as king of Israel. After the death of Solomon, David’s son who became king after the death of King David, the nation of Israel split in two. The northern Kingdom was called Israel, and the southern Judah. Before those two nations were eventually taken into captivity for their failure to proceed under God, all nineteen kings of Israel were evil and only eight of twenty kings of Judah were good (did that which was right in the eyes of the Lord). During that time, God sent prophets to warn the kings of both Israel and Judah to cast down their idols and return to the ways of the Lord and to proclaim the consequences that would surely come if they did not do so. Rarely did the kings heed the warnings of those prophets. The Jews broke the Mosaic Law repeatedly. Israel miserably failed to obey God on the basis of conscience, the restraint of the Holy Spirit, human government, promise, and law. As a result, God instituted a new economy in which He dealt with all mankind on the basis of Grace. Conscience, the restraint of the Holy Spirit, human government, promise, and grace are being used by God to govern people. The law is not a ruling factor for the believer during this time of grace. Sadly, the majority of Jews and Gentiles do not accept the gift of righteousness offered by God through grace. Organized Christendom does not fulfill its mission given it by God in the New Testament—it does not “fulfill the Great Commission, maintain a pure membership, discipline unruly members, prevent false teaching from existing within it, and contend earnestly for the true faith.” Man again will fail, and judgment will follow. Go to the following webpage for links to more in-depth Bible studies on Israel: The Bible Doctrine of Government. Ro. 3.19, 20; 7.9, 10; 2 Co. 3.7; Ga. 3.10. Charles C. Ryrie, Dispensationalism (Chicago: Moody Press, 1995), p. 55. Is. 54.5; Je. 3.14, 20; Ez. 16.26-59; 24.15-27. In Hos., we see the picture given that illustrates to the Jews how God feels when His wife, Israel, commits adultery. Ga. 3.19, 23-25; Ro. 6.14; 1 Co. 9.20. Ro. 7.22; 2 Co. 3.3-11; He. 8.8-12. Renald E. Showers, There Really Is a Difference: A Comparison of Covenant and Dispensational Theology (Bellmawr, New Jersey: The Friends of Israel Gospel Ministry, 1990), p. 46.